Bob loves Bear. Bear loves Bob. Where will your adventures take them? 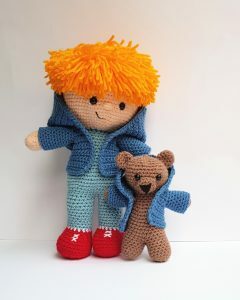 Bob and Bear are great friends and love going on adventures together. 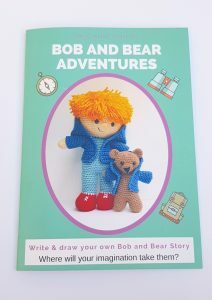 They have their own special book where children can write or draw their own stories of Bob and Bear, through their incredible imaginations. 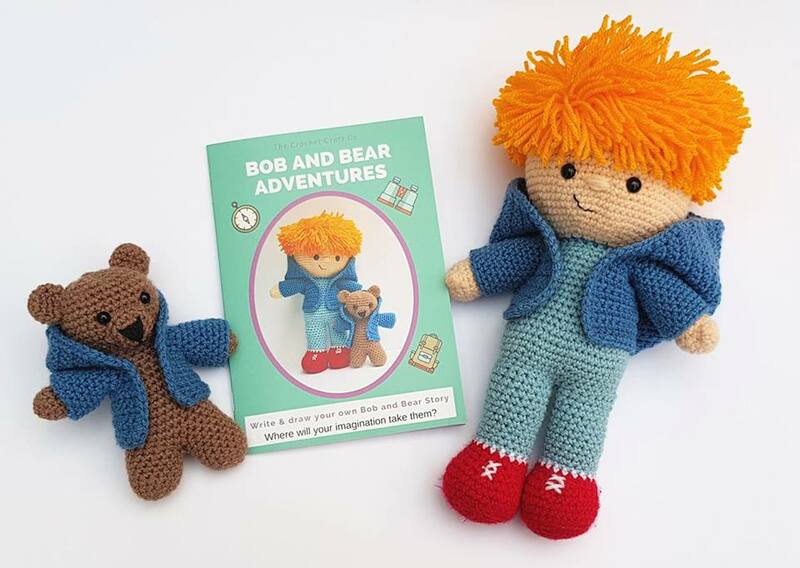 Whether it is on a fun filled holiday or an event in their life where they might feel a little bit anxious about, Bob and Bear can be by their side. 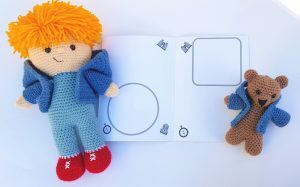 Bob and Bear are available to purchase ready made, fully CE tested. Bob is approximately 10 inches tall and Bear is 5 inches. 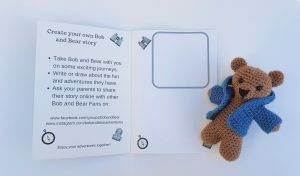 The adventure book that accompanies them has 12 pages that are free for children to create their own stories of Bob and Bear. 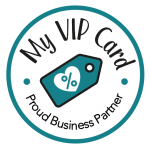 They are available on my shop to buy – just click here!